InHand’s Hydra-T3 will have an outdoor visibility screen. InHand’s new Hydra- T3 will come up with a 1GHz ARM Cortex-A8 processor; will support Google Android 2.3, Ubuntu 10.10, and Windows Embedded Compact 6. 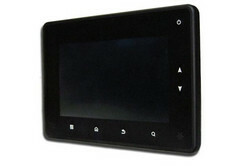 It is a 7 inch tablet and has a Pixel Qi LCD display which can be seen in direct sunlight. It is believed that the Hydra- T3 may be an expensive one as it is mainly aimed at military, medical or industrial use. The price of the tablet is still not listed on the company’s website. It asks to fill out to request a quote and maybe it will not be affordable unless it is used by pilots, road crews, technicians etc. As for the past few years Pixel Qi has been revealing its sunlight viewable displays. This screen when used with a backlight will look like color LCD. If the screen is viewed without the backlight then about 80 percent power can be saved and the screen can be viewed just with ambient light. This will look like a black and white display at that time. 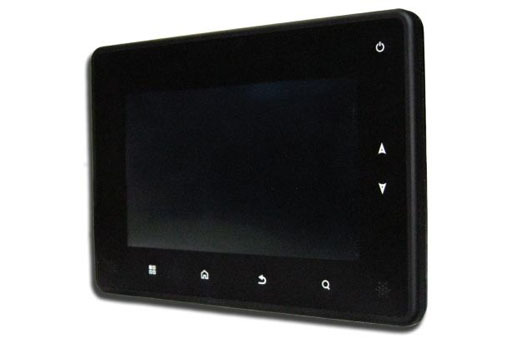 This 7 inch tablet will have a display resolution of 1024 x 600 pixels Pixel Qi screen. It will have a resistive touch panel on top and will be available in 256MB to 1GB of RAM. The flash storage will be in between 512MB and 16GB. It also includes a 5MP camera, ambient light sensor, USB 2.0 ports, 802.11b/g/n Wi-Fi, Bluetooth 2.1 and GPS. The battery life of the tablet is up to 12 hours and will be measuring 8.4” x 5.9” x 1”. The measurements of the tablet will make it a thicker one than the most Android tablets. The design of the case will be a rugged one and can handle temperatures in between 40 degrees Fahrenheit and 185 degrees Fahrenheit. An interesting feature of the tablet is that it can be submerged in water up to a meter deep for half an hour.